Disney’s Food and Wine Festival is back starting this weekend and longer than ever before brining you six weeks of irresistible cuisine, beverages, entertainment and more. Visit all 13 Festival Marketplace kiosks to sample tasting-sized menus from different regions of the Golden State. Each location offers a unique menu inspired by fresh, California-grown ingredients like avocado, strawberries, fragrant citrus, peppers and artisanal cheese. You’ll also discover an array of locally brewed craft beers and wines from all over the Golden State. Sit down and enjoy free presentations on a variety of topics, cooking demonstrations and more—all focused on the family. From growing your own vegetables to learning to prepare some Festival Marketplace favorites, you’ll get a lot during each information-packed live session. The presenters will share tips and tricks of their trade. Want to have a more unique experience? Disney will also offer a whole list of presentations available that you can purchase seats to including wine and beer tasting seminars, “Sweet Sundays” dessert presentations and tasting and the extremely popular Celebrity Chef presentations. Celebrity Chef LIVE will feature 2 different guest chef’s this year: Guy Fieri and Robert Irvine. You will get to see a presentation featuring some of their favorite recipes and end the night with a tasting. But this festival isn’t all an adult’s world, kids can get in on the fun too! Jr Chef lets kids ages 3-11 get in the “kitchen” where they’ll mix a variety of ingredients to create magical treats. With silly supervision from Chef Goofy, kids follow a recipe and then swirl everything together. The finished goodies go into the magic oven and―voila! Each child gets a wrapped, ready-to-eat baked treat. And the best part is…there is no cost to participate! 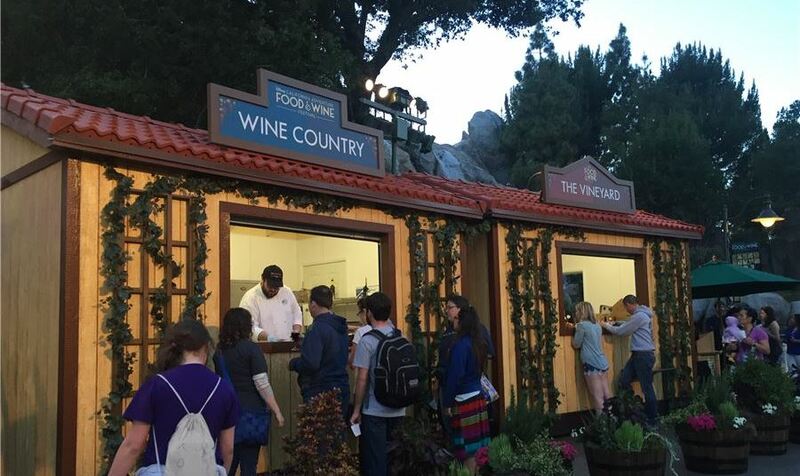 Disney’s Food and Wine Festival will take place at Disney’s California Adventure Park March 2nd to April 12th and is truly a celebration that should not be missed.